Very good beds. Wonderfull breakfast near the beach. Free bikes. Big studio with hotel facilities. The hotel is very near the beach and in good position. The location is excellent - near the beach. Bar and welcoming staff, personal service and cleanliness of the place. It was an amazing experience. The hotel was great,clean, all the staff were very nice. Wonderful places with artistically polite hosts. The cleanliness of the hotel is at an impeccable level. Breakfast is very rich. The place is quiet and very welcoming. we would have visited him again with pleasure. 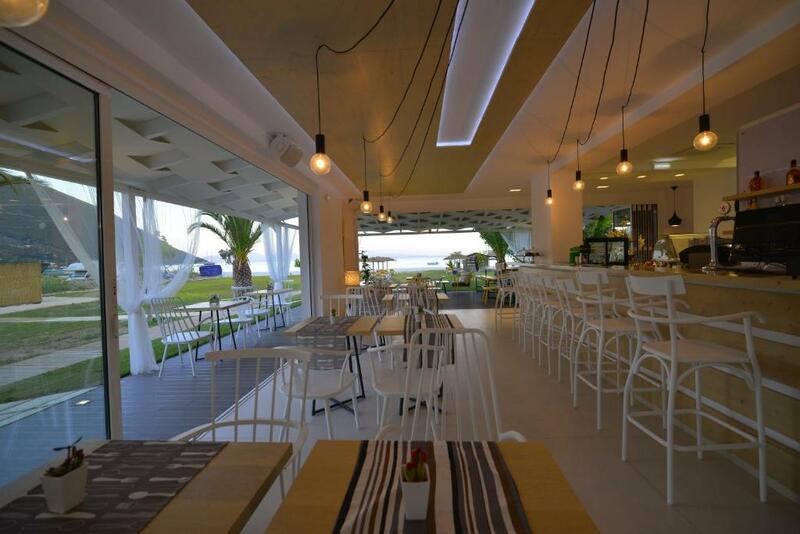 It's very easy to reach the location, as it is situated on the main road in Vasiliki. There's free private parking. We had a spacious room with a balcony where you can enjoy the great view (mountains+sea). The building is clean and quiet. There are a lot of taverns in the port, at 10-15 mins walk. The host is very kind and friendly. We recommend this hotel. Amazing location right on Vassiliki beach with lovely promenade easy to walk along for anyone with walking difficulties. 10 minutes walk to the port area with Lots of tavernas. Yannis grill at the port is recommended for gyros!! Hotel staff were lovely. The grounds were lovely too and our 8 year old was able to do her gymnastics on the grass. Everything was perfect! The rooms were very clean, we had our sheets changed every two days and the towels every day. The staff was super friendly and they gave us information about all we could do and visit on the island. They told us where to eat good and not expensive, where to go to buy souvenirs and which beach is worth to explore. I would definitely recommend this place. You have the beach in front, taverns nearby and a quiet region to relax. 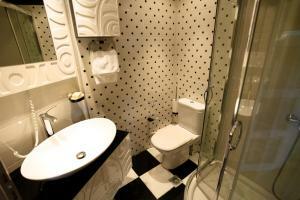 Lock in a great price for Hotel Odeon – rated 9.6 by recent guests! Hotel Odeon This rating is a reflection of how the property compares to the industry standard when it comes to price, facilities and services available. It's based on a self-evaluation by the property. Use this rating to help choose your stay! 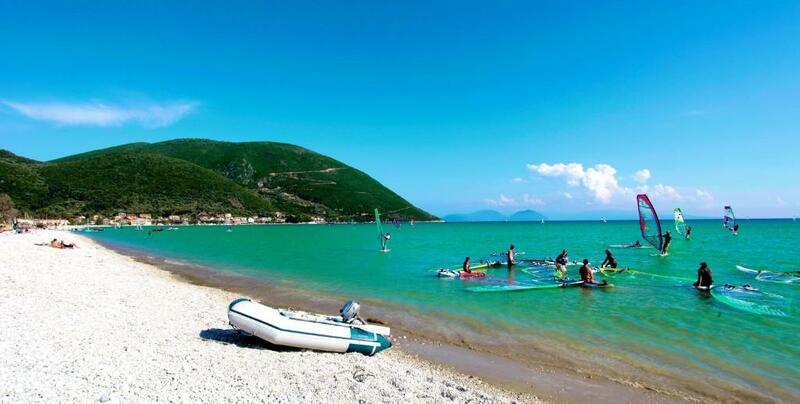 Ideally situated just 150 feet from the beach, Hotel Odeon is in the heart of Vassiliki Bay. It features an outdoor swimming pool and rooms with kitchenettes. Odeon Hotel features comfortable guest rooms with a Playstation 2 which doubles up as a DVD and CD player. Free Wi-Fi access is available in all units. All rooms offer the 3-layer sleep system with COCO-MAT mattresses. The Odeon serves a hot buffet breakfast which includes homemade cake and local honey. From the terrace, guests can enjoy great views of the neighboring islands of Kefalonia and Ithaca. The hotel also features a terrace for guests to relax. There is a play area for children on the grounds. Hotel Odeon is approximately half a mile from the center of Vassiliki village. Nearby the Odeon, there are many opportunities to enjoy water sports such as water skiing, scuba diving and sailing. The hotel offers free windsurfing equipment storage. When would you like to stay at Hotel Odeon? One of the most luxurious hotels on the island. Ideally located just 50m away from the beach and around 800m from the center of the village, right in the heart Vassiliki Bay Hotel Odeon has its own unique charm. Hotel is a perfect place to relax light some moments. A very lovely location makes this place charming, offering the most complete comfort. House Rules Hotel Odeon takes special requests – add in the next step! All older children or adults are charged 10 % of the room stay per night for extra beds. Hotel Odeon accepts these cards and reserves the right to temporarily hold an amount prior to arrival. No soap. we had to buy soap and shampoo, the property has given us a single set for 5 days! Position of the pool on roadside isn’t ideal and a pool bar for snacks etc would’ve made it better. The hotel is really lovely and the furnishings are stylish and comfortable. We stayed in the very top loft room which gave great views out over the sea. The balcony is very small but looks directly out onto the beach. The hotel owner, Spiros, is so warm and cheerful and helped arrange a few things for our onward travel. Loud music at the bar while trying to read on the beach, tho we could have moved the beds I suppose ... Beach is pebbles and it is windy. Walk to town along the road as by the sea there is lots of building going on so it is dusty and bleak. Great place, very clean, sea views and a minutes walk away. Free sunbeds and shades, bar (with too loud music) very nice staff a welcoming owner. lovely turquoise sea. Good for young people and surfers. Great little town a 15 min walk away, pretty, good restaurants and nice shops. The breakfast was very good. The personnel was very nice. 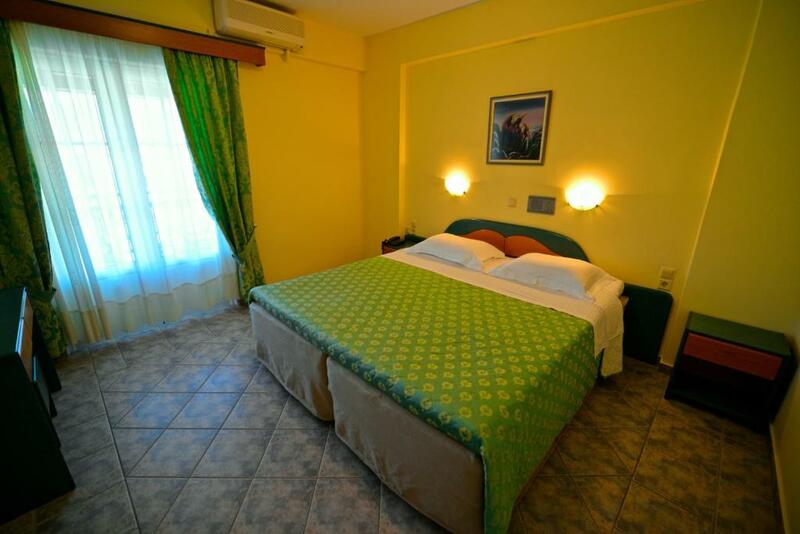 Hotel is located in the heart of vassiliki, walking distance to everywhere.